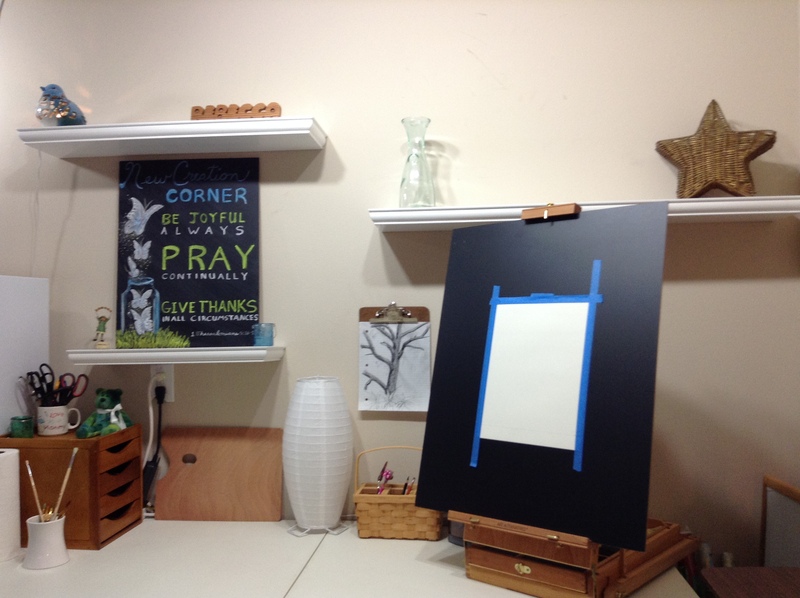 I love my new art, music and prayer closet area that I now have in our garage. I call it my “New Creation Corner”. 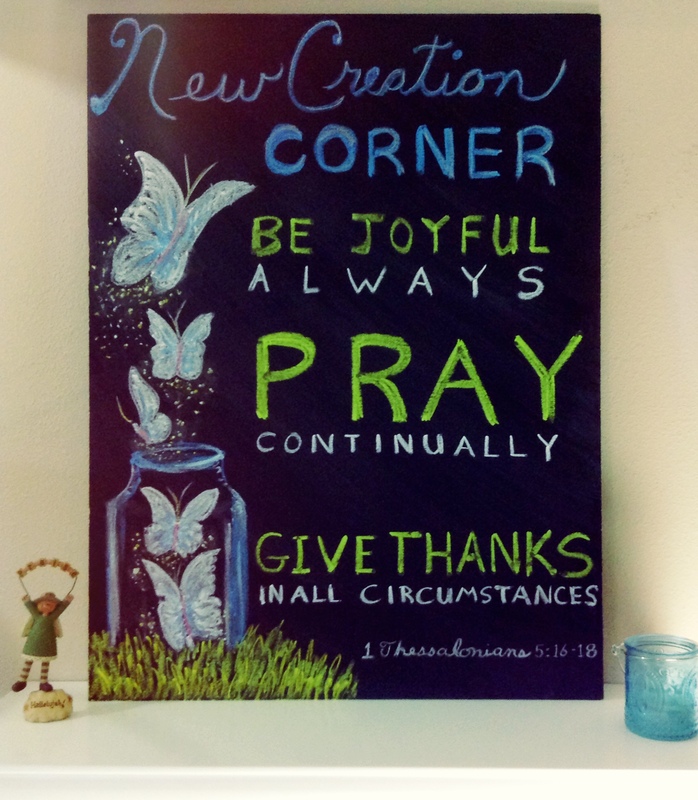 This is the new 24″ x 18″ Scripture board that I made. I had it cut from a 2′ x 4′ chalkboard sheet which cost less than $10 at Lowe’s. The other part is on my art easel as a backboard for my pastel painting ventures. Thanks for the inspiration, Susan Moss Jenkins! 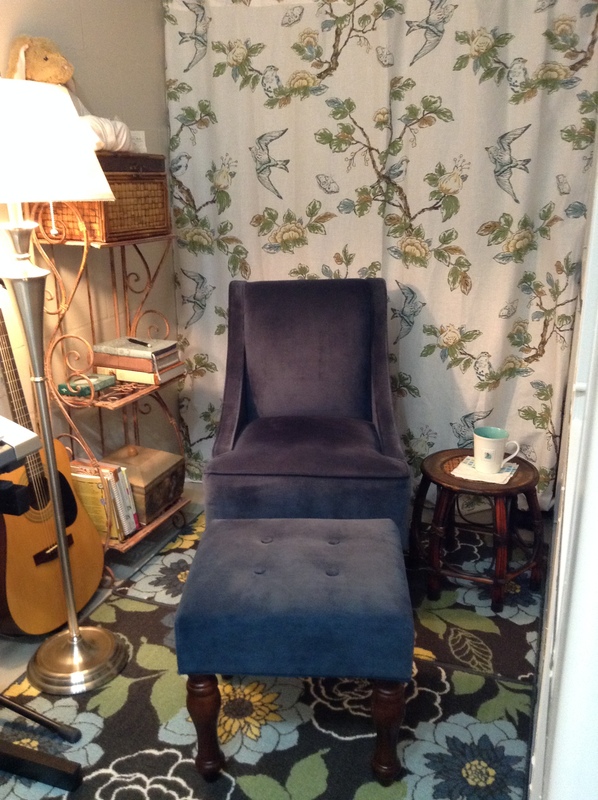 In a corner tucked away behind a storage cabinet partition is my “prayer closet”. I love this little private place where I can be alone to write, read and pray each morning or whenever I want to slip away, breathe, refresh and renew. 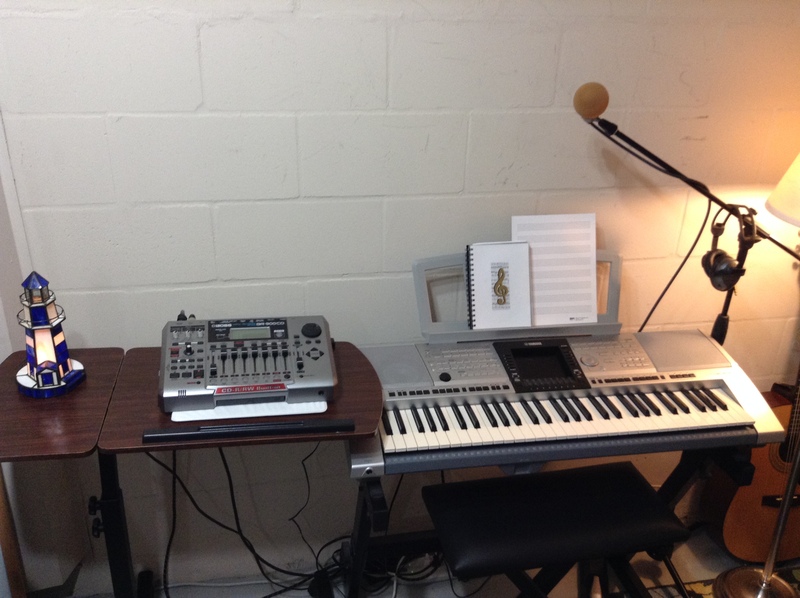 My “new Creation Corner” is also where I play, sing, worship, write and capture new music. Finding privacy and freedom to create can sometimes prove difficult. Space can be an issue as well but I challenge you to think “outside the box”, like I have in making space in our garage, and reclaim some space and time in your life for creativity. To become all God has made us to be, we must believe that we were meant to express ourselves through creative means…after all, we are made in the image of THE MASTER ARTIST…so of course we all have a creative nature, and from my experience, it needs release. Creativity is good for the soul! So come on, join me in releasing the creative in your life…and CHOOSE TO SHINE!